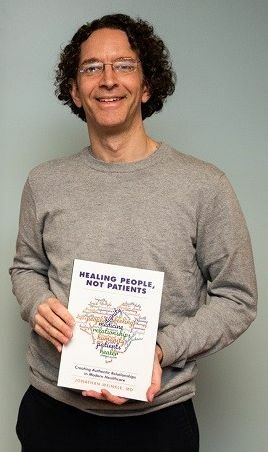 Dr. Jonathan Weinkle's new book, "Healing People, Not Patients: Creating Authentic Relationships in Modern Healthcare," has received a positive review in Pittsburgh Quarterly. The review says that Dr. Weinkle "uses a potent, but compassionate voice supported by his experiences to advocate for dynamic, yet commonsensical, changes in care." Dr. Weinkle is a physician at the Squirrel Hill Health Center . The book may be purchased through Amazon and he expands on some of the concepts in it on his website, "Healers Who Listen." Dr. Weinkle was a 2018 PACHC APEX Award honoree.